It was 1964, Beatles Mania was in full swing, the Beehive was the buzzed about hairstyle of choice and Muhammad Ali was the Heavy Weight Champion of the World. It was also the year that Blimpie was born! Three buddies from Hoboken, New Jersey, had a fresh and delicious idea along with a passion to share this idea with the world. They knew the sandwiches they made were the best tasting, with the freshest ingredients all at a great value. The friends had the passion and the crave-able product, now they just needed the best name ever for their freshly sliced idea. They wouldn’t settle for “Subs” or “Hoagies”, their sandwich deserved better. They went through a dictionary for their “name-spiration”. They saw an image of a blimp and thought it resembled their bigger and better sandwich. Drum roll, please… Blimpie was born! 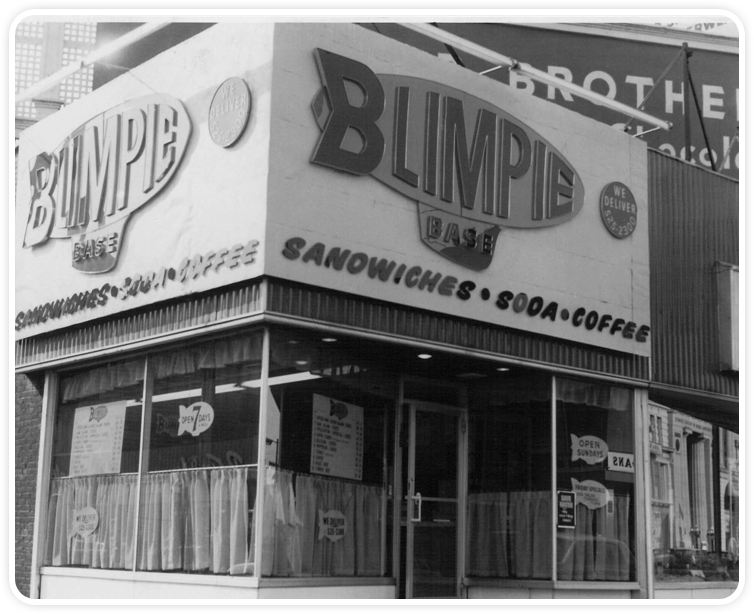 On April 4th, 1964, more than 50 years ago, the first Blimpie store opened and the rest, as they say, is history. Blimpie has been your neighborhood deli destination for more than five decades. With locations coast to coast, Blimpie is proud to continue serving freshly sliced meats and high quality ingredients. We are proud of our history and we’re honored to make our subs bigger and better, that’s the Blimpie way. Thank you for making Blimpie a part of your lunch and life. Blimpie is America’s Sub Shop. Don’t you forget it!